This cool plaque will be the talk of your end-of-season party! The Tennis Ball and Racket Plaque has a cool image of a ball and racket against a black background. 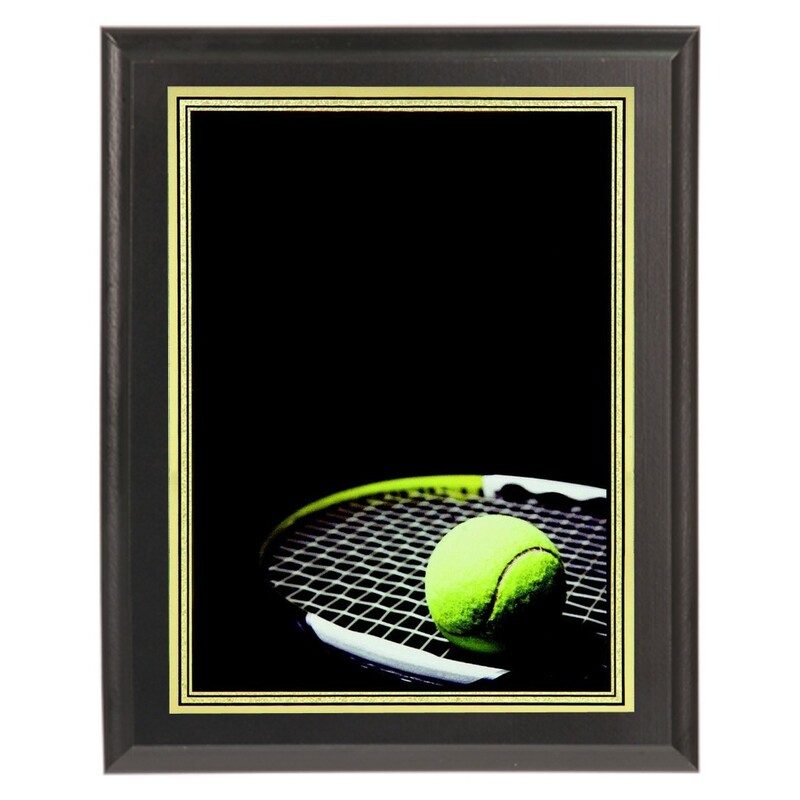 Add your personalized engraving to the top of this plaque and recognize all your tennis stars! Available in 2 sizes, this black beveled plaque is a cool way to recognize hard work. Production time for this product is 3 business day(s); expected pickup or shipping date is 04-24-2019.